Motorcycle accidents are often catastrophic, but for bike enthusiasts, the risk of getting into a crash is worth the thrill of riding. Although there is no way to eliminate this risk entirely, there are ways to reduce the chances of causing a wreck. Since inexperienced motorcyclists are the most likely to lose control of their bikes, it’s especially important for them to take steps to avoid accidents. Here are a few tips for doing just that if you’re new to riding. Traffic laws vary by state, so it’s essential to review the laws where you plan on riding before hitting the road. This will ensure you understand your rights and responsibilities as a motorcyclist. In Alabama, for example, lane splitting is illegal. However, up to two riders may travel alongside each other in a single lane. Following these laws and others like them will ensure you always ride in a predictable manner, which will reduce the chances of ending up in a motorcycle accident. 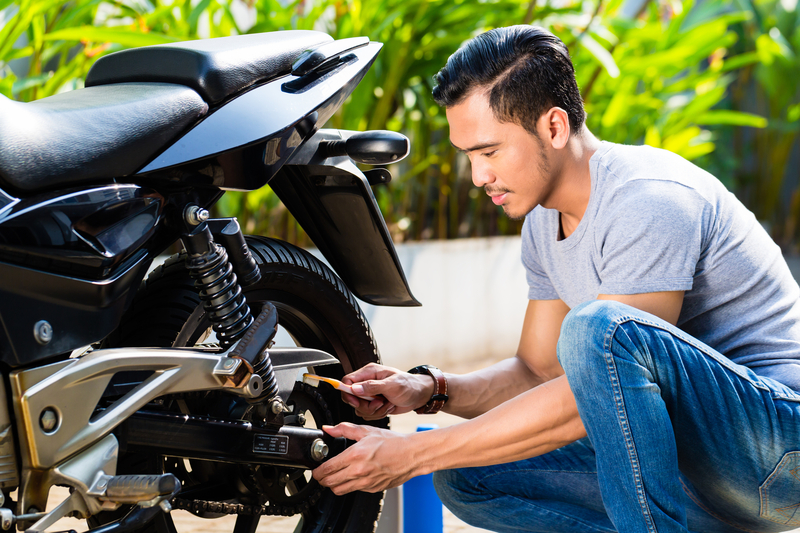 A well-maintained bike is less likely to malfunction in traffic, causing a collision. Therefore, it’s essential to check your fluid levels often and stay on top of oil changes. Don't forget to maintain your tires, as well. Examine their treads regularly, so you know when to replace them. Manufacturers recommend scheduling annual inspections, as well, once tires are five years old. They also recommend replacing tires every 10 years, regardless of how much wear they have endured. Enrolling in a motorcycle safety course will not only make you a better rider, but it could also reduce your insurance premiums. All new riders should consider enrolling in a class, in addition to completing the standard Department of Motor Vehicles requirements. Doing so will make you a more confident and assertive rider. If you were injured in a motorcycle accident that was not your fault, get in touch with Carey & Hamner, P.C. Based in Dothan, AL, this personal injury firm represents clients throughout Houston, Dale, and Coffee counties. Their compassionate attorneys are committed to providing personalized service and attention to injured parties who want to make their lives whole again. To request a free case review, reach out on their website or call (855) 435-4797.